The decision to cancel the BBC’s Digital Media Initiative (DMI) with nothing to show for the almost £100m spent on it should be a warning to other organisations, in the public and private sectors, about the risks involved in large-scale IT projects. 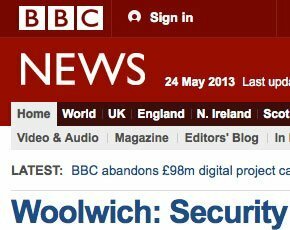 It would appear the BBC has been guilty of two major mistakes in what could be a classic example of the sadly all-too-frequent failure of an IT project: the lack of effective governance of the project and including involvement of senior broadcasting and programme making staff in that governance; and a lack of regular and effective project reviews during the development phase. We have spent many years carrying out research and consultancy on the realisation of benefits from IT projects, and have identified where things can go wrong and, more importantly, where mistakes that are costly in time, resources and money can be mitigated or avoided. According to surveys, 70-80% of projects fail. Every major IT project should have a project steering group chaired by a senior business executive who is not the chief information officer, and include senior staff members from areas or functions affected by the system being developed or the business changes needed to deliver the expected benefits. For very large or high-risk projects it can be appropriate to include staff from other areas of the organisation, or even from outside the organisation, such as technology experts. They can provide an external perspective and a "reality check" to the decisions of the steering group, or even challenge or question the decisions of the steering group. Such external perspective can help avoid organisational "group think", false assumptions about the capability to carry out the project, or acquiescence with decisions that are seen to be political in nature. Major IT projects should be subject to regular and searching project reviews. Most project management approaches advocate regular reviews, but these are often focused on time, cost and adherence to the original requirements. We argue that such reviews should take a broader view and assess if the original benefits are still achievable, if the benefits have changed and are still of sufficient value to the organisation. This review should consider the changing market and economic conditions the organisation is operating in and if they are still consistent with strategy reviews. It should consider issues such as changes in technology and even the economic and social climate. The project steering group should undertake or evaluate these wider reviews, led by the project sponsor. A diverse make up of the steering group is a vital factor in making these reviews effective, with members being prepared to challenge the information presented to them or the underlying assumptions. Members of the steering group should also establish mechanisms so staff within the project and others with views on it, can be heard and their opinions investigated. While at first glance it seems the BBC's Digital Media Initiative project suffered from the challenges encountered in many other large IT projects, there are some aspects of the BBC operation and culture that may have exacerbated them. The organisation appears to have reacted slowly to concerns raised at senior level, there was an inability to identify that things were going wrong and to then act impartially. The failure of the DMI was regarded as an IT failure, not of the BBC, and, most worrying, there was a culture which apparently did not allow staff involved to be given a voice, so, unable to feed their concerns about projects into review processes, they were instead reduced to privately voicing them. Research on IT project failure has found there is often an over reliance on methodologies and processes, rather than establishing effective business leadership and the active engagement of perceptive individuals, who are prepared to identify and tackle the difficult organisational issues that are really affecting the success of IT projects. To be successful, large IT projects must have strong overall control that involves all stakeholders and draws in outside expertise that is unencumbered by organisational politics. Group think must be avoided and regular and robust reflection of the project’s objectives and direction should be encouraged. From our experience, the BBC DMI case is not the biggest or the worst IT project failure in the public or private sectors and, without organisations implementing measures to guard against them, it will almost certainly not be the last. Professor Elizabeth Daniel, Open University Business School, and Professor John Ward, Cranfield School of Management, are authors of the book "Benefits Management: How to increase the business value of your IT projects".